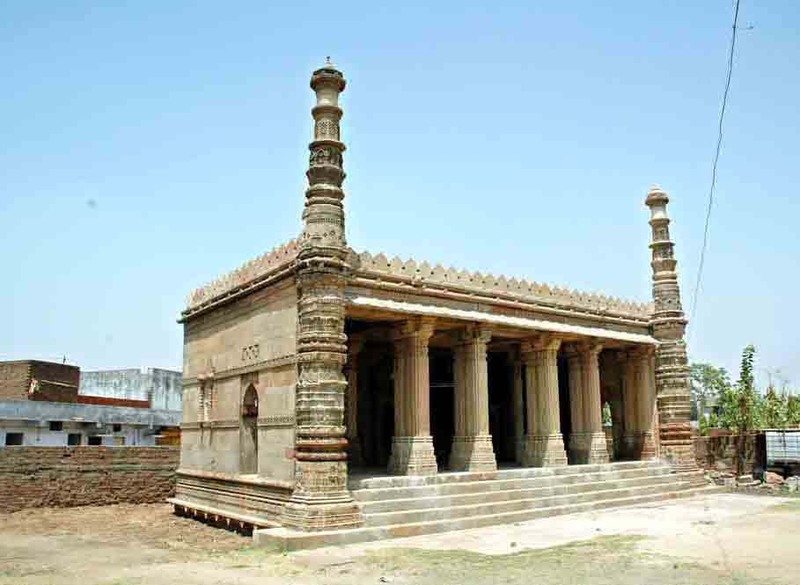 Small Stone Masjid (Gumle Masjid) Ahmedabad. This small stone mosque is named after its builder Malik Isan who was a chief ennuch, later raised to the status of noble Nizam-ul-Mulk at the court. It is surrounded by a corridor, and the entire court is raised on a platform with porches, having outer gateway on the east and north, approached by flight of steps. The interior of the dome is neatly carved and has pendent hanging in the center.